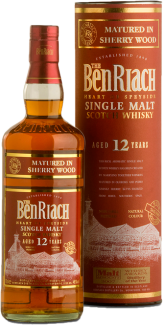 Matured in the traditional style in American bourbon barrels, this whisky is then ‘finished’ in Dark Rum barrels, sourced from the Caribbean island of Jamaica. 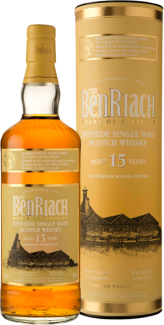 During this second period of maturation, the whisky derives many interesting characteristics specific to the Dark Rum barrel. 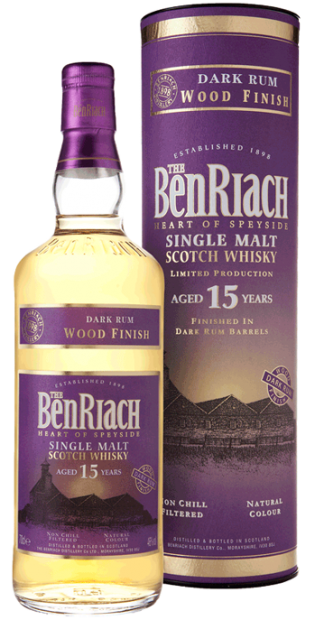 With only a limited number of bottles made available world-wide, the Dark Rum Finish is part of the first BenRiach ‘Wood Finish Series’, released November 2006. The other ‘finishes’ included in the series are Pedro Ximenez Sherry, Madeira and Aged Tawny Port.